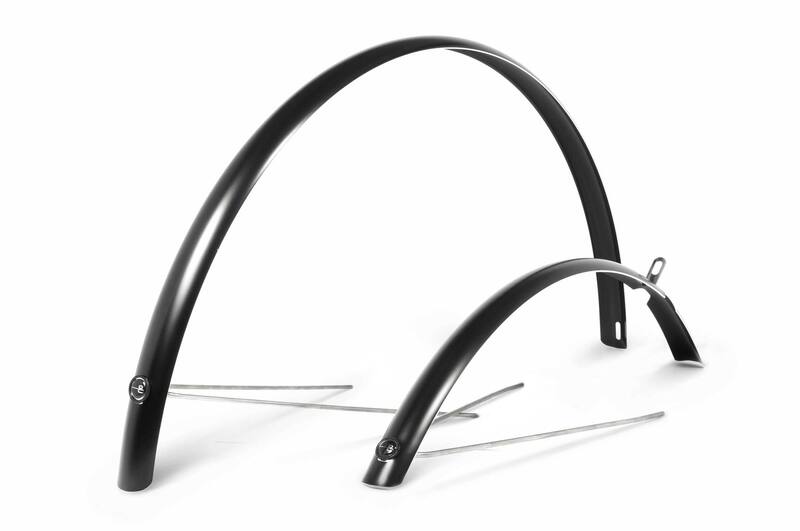 These mudguards made by premium manufacturer Curana are extremely light and, thanks to their unique sandwich composite design (aluminium-plastic-aluminium), exceptionally sturdy. They have been specially modified for Schindelhauer models and seamlessly fit their overall looks. Gently swung over the wheels, they provide protection in wet and dirty conditions. 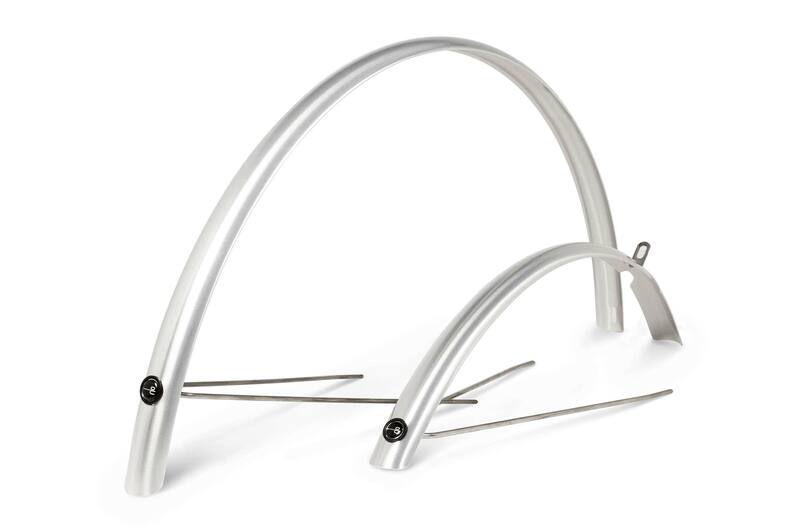 The Schindelhauer mudguards are available in brushed silver and matte black. Wilhelm / Ludwig XIV / Jacob / Siegfried and Viktor before 2013 - available on request, please contact us or a Schindelhauer dealer with the model name and year. The struts are manufactured to fit Schindelhauer models and only partly fit other brands. Where I can get my Schindelhauer? delivery to a Schindelhauer dealer: You can easily let deliver your desired model to a Schindelhauer dealer. They will do the final assembling and fine tune it to your needs. delivery to a desired address: If you do not have a Schindelhauer dealer nearby, you can let send your bike directly to your home. The bike is delivered nearly full assembled. In compliance with the manual you only have to pump-up the tires with the appropriate air pressure, mount the pedals and straighten the handlebars. You can choose the desired shipping option within the checkout process. No dealer in your area and not from Germany? In this case we will find an individual solution together. For this purpose, be so kind and send us your contact data. We will get in touch with you immediately.